The team will continue development of the car with a series of tests scheduled until the end of 2014 and throughout 2015. 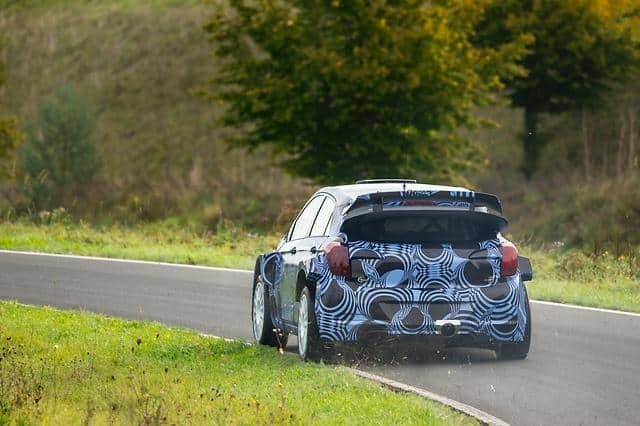 October 8, 2014 – Alongside its participation in the 2014 FIA World Rally Championship (WRC), Hyundai Motorsport has recently rolled out the first prototype of its next WRC car, which is based on the recently-launched New Generation i20. French driver Bryan Bouffier carried out the very first shakedown of the car on a private testing ground in Germany last month, with the aim of checking all systems and to start collecting valuable data for upcoming development tests. Based on the New Generation i20 - Hyundai’s third-generation B-segment vehicle is a completely new car compared to the current model - the WRC version incorporates all the learning and valuable feedback that the team has collected during its first season in the World Rally Championship.